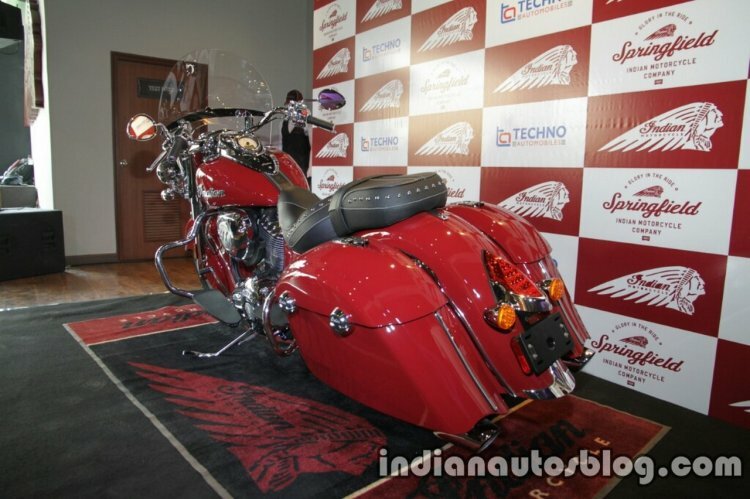 Indian Motorcycle launches Springfield at Rs 31.07 lakhs (ex-showroom, Gurugram). Placed between the Chief Vintage and Chieftain Dark Horse, the new Springfield adds versatility to the lineup. 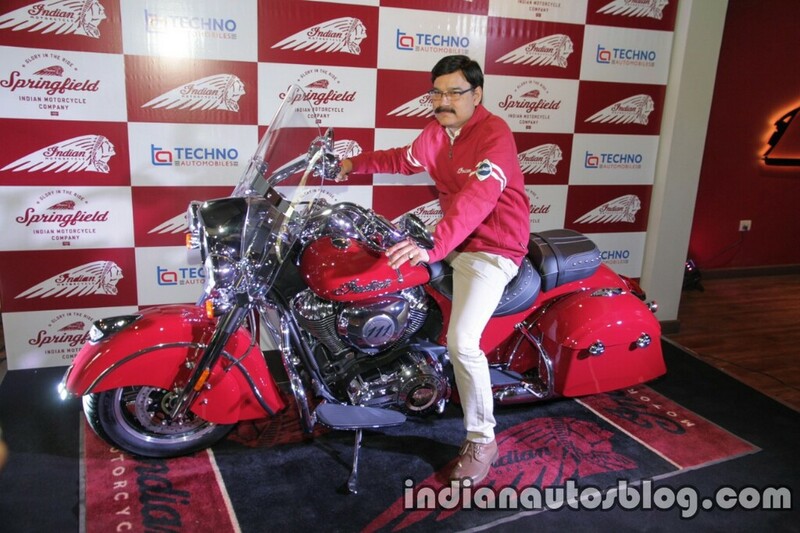 Brought to India via the CBU route, it will be sold at all 6 dealerships in the country. The Indian Springfield is placed between the Chief Vintage and Chieftain Dark Horse in the lineup. Powering the bike is the same 1,811 cc ThunderStroke 111 engine found in the Chief range. While the torque output remains the same 138.9 Nm at 2,600 rpm, Indian has for the first time revealed the power output for the V-twin air-cooled mill - a healthy 74.1 PS at 5,075 rpm. The Springfield is closest to the Chief Vintage in design but the chassis has been modified to be trunk compatible. The bike can quickly change from being a bagger to a tourer. While the Vintage gets leather saddle bags, the Springfield boasts of remote locking hard saddle bags which can be released quickly. The windshield too, gets a quick release mechanism. Apart from the 64-litre all-weather saddle bags, the Springfield gets features like electronic cruise control, tyre pressure monitoring system, adjustable passenger floorboards, dual riding lights and tank mounted electronic odometer with a speedometer. The instrumentation also includes dual trip meters, digital tachometer, average fuel economy, fuel range, vehicle trouble code readout and a gear position display. The bike has a dry weight of 376 kg. Braking system consists of dual 300 mm floating rotor with 4 piston callipers in the front. The rear gets another 300 mm single disc with a two-piston floating calliper. ABS is standard as usual. Bookings for the Indian Springfield are now open and availability will be limited only to the Thunder Black paint scheme. The Springfield is priced at INR 31,07,770 (ex-showroom, Gurugram).